R. Buckminster Fuller claimed that nature was efficient. Fuller claimed the efficiency of nature was the model he used for his inventions, inventions with which he attempted to “do more with less.” As part of a critical analysis of Fuller and what he called comprehensive anticipatory design science, this essay will demonstrate that Fuller’s claim is false. Fuller used the words nature, Universe, everything, all and similar words as synonyms. This essay will use the word nature to reference what Fuller spoke of by each of these words. Nature is “the totality of both all that is known and all that is unknown.” [1056.13: this an all other numbered citations are from Fuller’s Synergetics and Synergetics 2] “Nature’s consisting always of observer plus the observed.” [540.03] Fuller’s use of the words nature or efficiency are not unusual or strained or vague. When Fuller spoke of nature, he spoke of all that is. The above quotations establish that Fuller claimed nature was all-inclusive, and that humans (as a species and as individuals) are part of nature. Fuller also claimed that nature was efficient. Like his use of the words nature, Universe, everything, all, etc. as synonyms, Fuller used a number of words as synonyms for efficiency. These include economical, least effort, most comfortable and others. This essay will use the word efficiency to reference what Fuller spoke of by each of these words. Fuller was clear about where nature’s efficiency could be found by using words such as only, always, all, 100%. Fuller claimed that there were absolutely no exceptions to nature’s efficiency. Fuller clearly claimed that nature was always efficient and that humans were part of nature. These claims include logical contradictions, internal contradictions and contradictions with evidence. If all things are part of nature, and if all of nature is efficient, then there is no way can one know that nature is efficient. There is no non-natural thing to measure efficiency against, and there is no non-efficient thing to measure nature against. Equating nature and efficiency and removing the possibility that there is a non-natural or non-efficient thing makes either nature or efficiency or both impossible to observe. If humans (as a species and as individuals) are a part of nature then all inventions by humans (as a species and as individuals) are equally natural. Fuller’s inventions are neither more or less based on nature than any other invention by any other person. No invention by Fuller is any more or less efficient than any any other invention by any other person. Fuller contradicts himself when he claims “The cosmic design often employs precession to guide the ignorant players into inadvertently producing the evolutionarily necessary regenerative integrity functions, while the ignorant are consciously preoccupied only in vain and selfishly expedient ends.” [541.18] Humans may be efficient or may not be efficient, but we may not be both efficient and not efficient at the same time and in the same way. Efficiency is inherently a singular state. There is efficiency, and there is less-than-efficiency. But Fuller writes “Nature employs only one or another of the most equieconomical relationships.” [1023.15] If a thing or process is most efficient, that must mean that all other things and processes are less efficient. There cannot be more than one most equieconomical relationship. Fuller’s contradictory claims about nature and efficiency have three sources: the powers and responsibilities he claimed as part of his revelation of 1927, his theism and his misunderstanding of the scientific method. Fuller claimed to know “the coordinate system of Universe.” Fuller “need not await temporal attestations to [his] thoughts, [for he thought] the truth.” Where science is the process of making claims and subjecting them to criticism, design science (that is, Fuller) was exempt from criticism. Fuller claimed that evolution was deliberately not working in any area addressed by others. [250.51] Fuller advocated teleology, the interpretation of apparent order as deliberate design. This essay will address the role of efficiency in science. Nature does not appear to be especially driven by efficiency. Universe has changed over time. It would have been more efficient for the Universe to occur at it’s present most efficient state or some future most efficient state rather than evolving to this point or some future point. The human body is replete with examples of inefficiency. These include the ratio of the human head (large) to the birth canal (small), breech birth, genetic disorders and congenital diseases, wisdom teeth and more. Fuller’s wife Annie died from a cancer I doubt he would have called efficient. Evolution, the change found in nature, is the non-random endurance of traits influenced by random internal and external events. Evolution is an accumulation of what has not yet been chipped away, not the accumulation of fitness. Science is the process of attentiveness to error, what has been chipped away, and not the accumulation of facts. While the apparent inefficiency of the human body contradicts any claim that nature is always efficient or intelligently designed, the process of evolution is a claim by science that fits the evidence. There is a flawed but serviceable method for humanity to measure and increase efficiency. That method is science. Claims can be made about the efficiency of an object or process, those claims can be submitted to tests, and those objects or processes that do not fail can be provisionally held to be efficient. These objects or processes can be submitted to repeated and hopefully more critical tests. Such testing will not breed efficiency into an object or process. The scientific method cannot guarantee to breed out inefficiency but it is the only method known to work on occasion. Nor is science a moral force for good, bound to breeding out inefficiency only in housing or transportation or education. Science can also breed out inefficiency in weaponry and war. Perhaps what remains of value in Fuller’s design science is Fuller’s claim that scientists can elect to apply their skills and resources to peaceful ends. This claim does not make design science exempt from criticism, or resolve its contradictions, or distinguish it from non-design science science. But science applied to peaceful ends is a laudable goal and in that Fuller is to be commended. 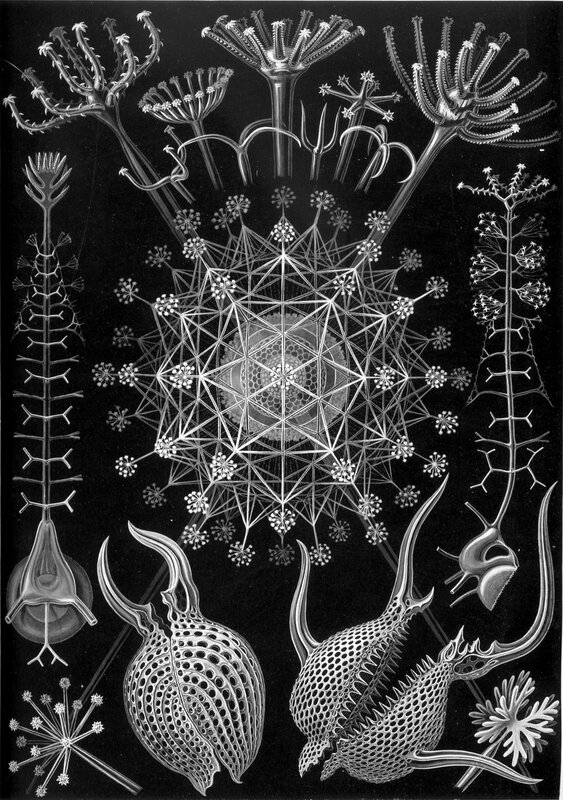 Fuller, R. Buckminster: Synergetics: Explorations in the Geometry of Thinking. Macmillan: New York 1975. Fuller, R. Buckminster: Synergetics 2: Further Explorations in the Geometry of Thinking. Macmillan: New York 1979.